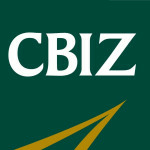 The Apparel Team operates within CBIZ & MHM's accounting firm in New York, and specializes in the fashion and apparel industry. Our team is committed to helping brands achieve their personal goals, while planning for continued success in the future. In addition to our standard accounting services, we also provide valuable consulting advice to our brands (tailored to their specific needs) and have personal relationships with hundreds of industry players. We are looking for up-and-coming e-commerce brands who are ready to take the "next step." Our team is flexible with your needs, so feel free to reach out!